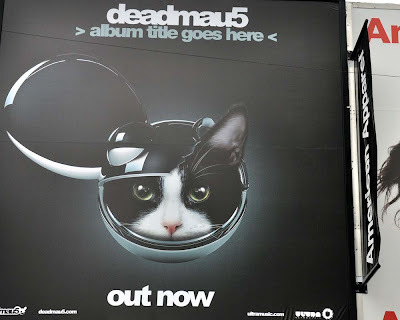 A cat busts out of a Deadmau5 mouse head in the "album title goes here" album cover advertisement that appeared over Yonge Street at Sunrise Records, across from Gould Street. The artist behind Deadmau5 is a #Toronto based electronic dance music performer named Joel Thomas Zimmerman. He recently proposed to the inked up Kat Von D on twitter - true love in 140 characters or less. 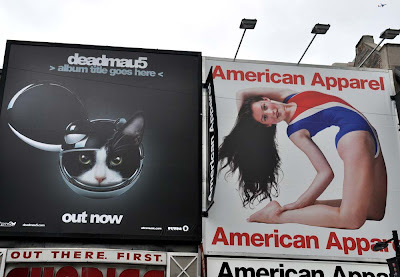 Next door is the American Apparel lady bending over sideways in a red, white and blue gymnastics outfit. I am not sure what billboard I like best; the cute mouse/cat on the left, cute girl dressed like a superhero on the right. 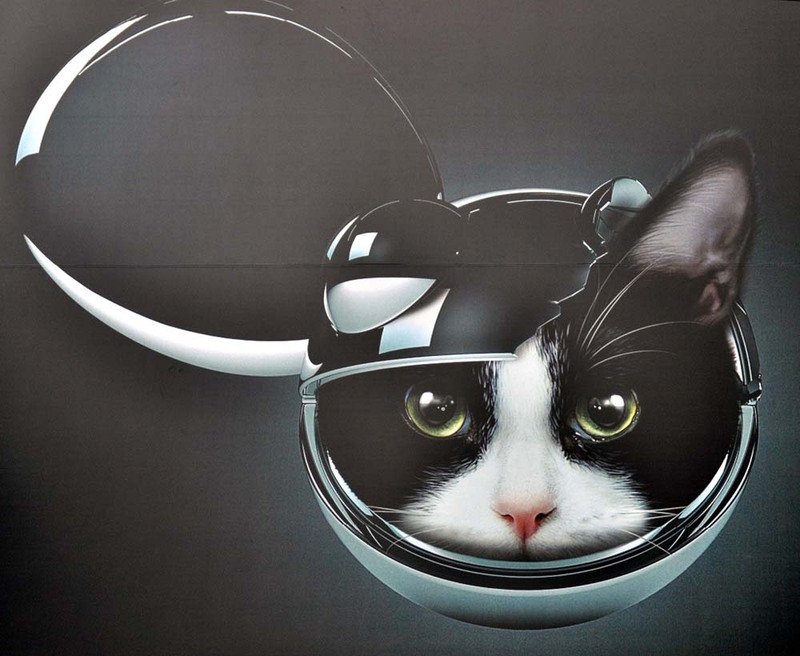 And American Apparel wins.